Do you want to beat your competition or do you want to EAT. THEIR. LUNCH? Our guest today, Anthony Iannarino, has devoted his life to teaching people and businesses how to dominate their competition through his speaking, blogging and books. 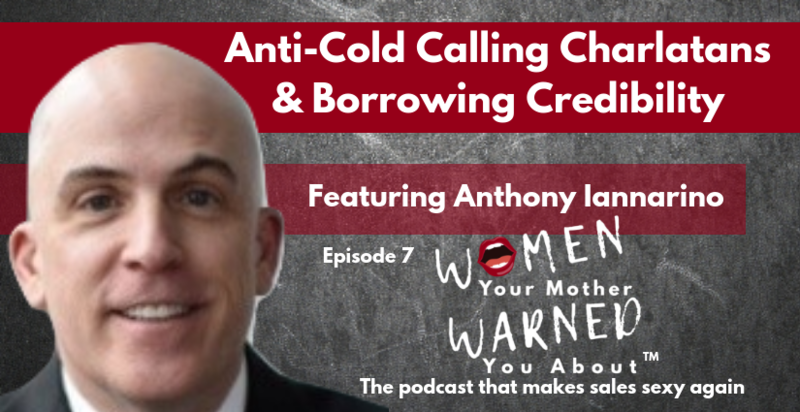 Anthony doesn’t hide cold hard truths and calls out the anti-cold calling charlatans that promise you can win business away from competitors without picking up the phone. Instead, he’s helping salespeople overcome the fear of cold calling and the misconceptions that surround it. Check out Anthony’s podcast In The Arena! We discuss this, his thoughts on the role of women in sales and his many run-ins with former guest and host of the Sell or Die Podcast, Jeffrey Gitomer. This is an episode you can’t skip over. Anthony Iannarino is a highly respected international speaker, bestselling author, entrepreneur, and sales leader specializing in the complex business-to-business (B2B) sale. He is also a founder and managing partner of two closely-held, family-owned businesses in the staffing industry, leading both entities in strategic planning while growing sales. Anthony is best known for his work at The Sales Blog, which has helped him gain recognition as a top thought leader in sales strategy. He is also the designer of Level 4 Value Creation™ and Building Consensus, methodologies that help sales organizations achieve transformational, breakthrough results. 2:57 – We read one of your AMAZING five star reviews! 24:35 – Meditation or meltdown? 29:42 – Prospecting is not a single event. 34:57 – What do you think you’re doing when you make a cold call? 42:17 – Is there such a thing as toxic masculinity?